The SeaFeast Soul Awards recognize families and individuals whose good works represent high levels of commitment and service to the everlasting heritage of marine, fishing, and maritime endeavors—the lifeline of Bellingham Bay. The Funkhousers represent an intergenerational commercial fishing family in Bellingham. In addition to fishing in Kodiak, Alaska and Puget Sound, Bob Funkhouser taught at Bellingham Technical College. His son, Rob, and grandson, Bobby, fish in Prince William Sound, Alaska. The Solbergs, originally from Norway, have fished for three generations in the U.S. The Solbergs (Odin, Reider, Birger, and Lange) have fished in Bristol Bay and remain active in regional fisheries advocacy. Capt. Deborah Dempsey comes from community sailing programs on the mouth of the Connecticut River. She’s a lifelong professional mariner and recently retired as a pilot on the notorious Columbia River Bar. Her passion lies in teaching others how to recreate safely on the water leading her to help start the Community Boating Center on Bellingham Bay and presently serves the board of directors as treasurer. It’s been said she has salt water in her veins and is definitely more comfortable afloat than ashore. 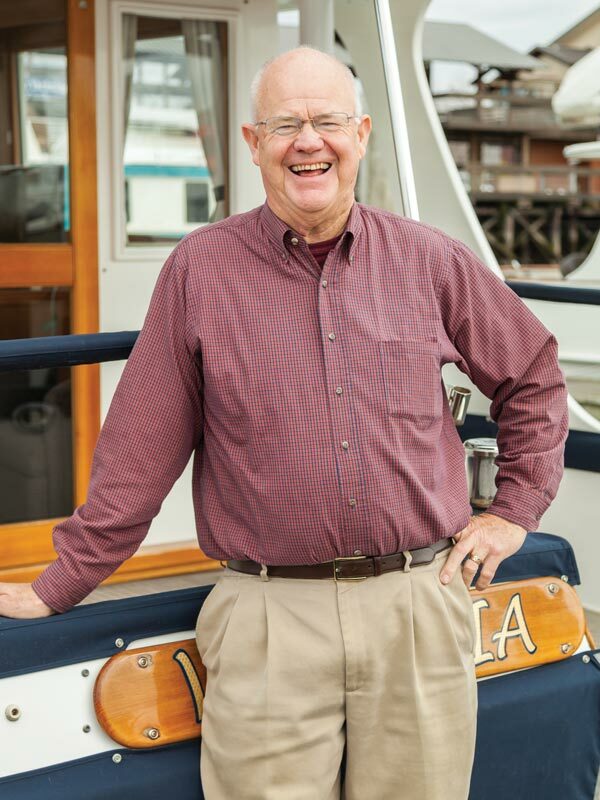 Brian Pemberton founded Northwest Explorations, a premier yachting company located in the heart of Squalicum Harbor. For over 25 years his company has operated charters, flotillas, brokerage, training, and maintenance, and has employed wildlife conservationists and marine biologists to ensure adherence to high environmental standards. Wally Green garners this recognition posthumously after a stellar commercial fishing career alongside his son. He also served as an officer in the Purse Seine Vessel Owners Association and as an advisor to the Pacific Salmon Commission. The SeaFeast Legacy Award honors an individual whose lifelong pursuits in the maritime and fishing sectors personify the historical significance of the working waterfront at Bellingham Bay. Photo by Scott Book. Courtesy of Business Pulse. Andy Vitaljic is the 2018 recipient. He grew up in Bellingham as a descendant of a Slavic brotherhood of Vitaljics from the island of Vis off the coast of Croatia. Andy has started, owned, or been a partner since age 14 in businesses ranging from commercial fishing to processing to hatchery management. At 86, he’s still active in five companies—including American-Canadian Fisheries in Lynden, and Quality Control Special Services (known as QC)—the oldest continuous tenant at Bellingham Cold Storage. Earlier this year Andy was recipient of the Business Pulse Lifetime Achievement Award.